This will include everything that is required to become a Gram Parsons InterNational (GPI) band and be considered for an event (may sound hardass but each item comes from some actual experience). Bands have an appreciation for the music of Gram Parsons and understand his contribution within the context of true country and country rock (cosmic American) music. While Gram InterNational honors Parsons and spreads the word about the Petition to Induct, it is not a typical “tribute” event. Bands are chosen based on being in the legacy of what Gram began; they are not chosen to necessarily replicate Gram’s songs or the sound of the early seventies (I don’t book just cover bands). At least a couple Gram songs are performed by each artist/band (see below), together with their own material. Band members signing the Petition to Induct Gram Parsons Into the Country Music Hall of Fame will help you. Artists understand that Gram Parsons InterNational is not a typical night of gig slots and that, once chosen to play, you consider yourself a part of a night committed to “the cause”; networking with other bands is encouraged. I communicate with the group through group email and now a collaborative “spreadsheet” (it’s really cool) so please provide an active email account. Bands are asked to stay and listen to the other bands for the entire evening unless there is a good reason (travel, working late) they cannot. Obviously cannot require you to socialize, but I’ve found networking among bands is huge at GPI events. And everyone booked that night is asked to be on stage at closing for the finale (joining the lead band) for “In My Hour of Darkness” (learn the four easy verses and the chorus please). Bands will share backline gear (not players) due to tight 10-minute changeovers. If the venue is not providing backline gear, bands will be asked to offer, including kit and bass amp for use for the entire evening. The band chosen for sharing kit and backline gear will have first choice of their preferred slot for that night. Bands will be prepared to play a full 40-minute set, which must include at least two Gram Parsons songs. Watch the clock I provide on the stage to monitor the time. I’ll also be up front managing the stage and MC’ing. In the 10 minutes allotted, bands shall work quickly in breaking down kit breakables and any other specifics while the following band sets up, and work well together doing so. Typically you will be playing with seven or eight other bands, anywhere from 30 to 45 individual musicians; any proceeds go to covering GPI travel and venue costs (we bring the show from Buffalo, NY, to your hometown; I do not count the countless hours working the show all year long). Moreover, you are choosing to donate your time to support the cause (the petition to induct and supporting events, and often as a benefit for a nonprofit if proceeds over costs). If there is an exception to this (possibly some gas money), you’ll know when booked. Having said that, GPI will do everything possible to promote the event and your band. This includes press releases, video posted to various sources, appearance on the poster, individual band profiles and plays on Gram Parsons-related social media, mentions on radio interviews when possible, etc. Also GPI does not forget the band once the event is over; assuming the above conditions are met, we continue to promote you after the event. As the number of musicians alone can fill up considerable space in a small venue, +1’s do not work. If a +1 were allowed for every musician, there would be no room for the paying audience (and the band members tend to take up a lot of space too!). 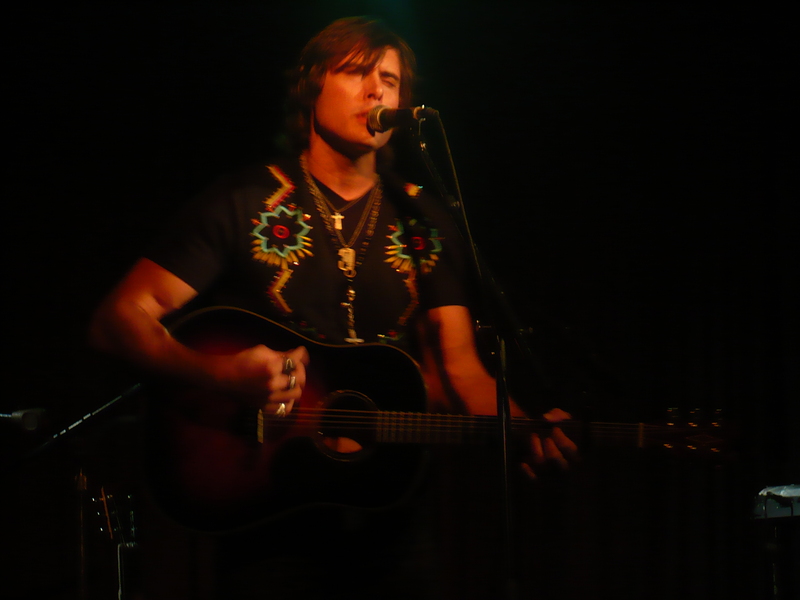 Bands are invited to play their own music as inspired by Gram Parsons’ legacy; however, two or three Gram songs are required to be learned, practiced and played. In addition, be familiar with “In My Hour Of Darkness” as all will join on stage for this final number finale (chosen lead band will obviously need to be well rehearsed for it). We will work to not have too many playing the same GP material; now the collaborative web page will help. The order of the band slots will be determined by GPI and is final. However, if you wish to exchange slots with another band, ask the band you wish to swap with, not GPI. Time/radius clause: Bands are not to play another gig within a week of the GPI event in the same city; this period would normally be longer, but it’s understood that you need to play good paying gigs. If an artist or artists are generally known by a name that includes the band (e.g., “Joe Schmoe & the Unwashed”), be it assumed that if we contact you to inquire about booking, “the Unwashed” are included. In other words, Joe must assume we want him and his band and be sure all band members are on board. If he wishes to play solo, he must so request. Once bands are booked a good reason (not just “personal reason”) is needed to drop out; especially after press releases are sent and I’ve paid for posters and/or shirts with your name on them. You may not care, but you won’t play my events again, and word tends to get around. Bands are not to use a GPI event to do promotion for themselves or other groups (including cameras, videos, on-site interviews, etc.) without my permission. I will have plenty of video of you for your use. You are required to promote the show on your website, Facebook, Twitter, Twitter, ReverbNation and any other social media you use (I will produce the RN and Facebook event page, too confusing if individual bands also do this). LEAVE YOUR EGO AT THE DOOR, OR AT LEAST SAVE IT FOR THE STAGE! Thanks for listening. If we exceed the number of acts that wish to play (as is typical), a standby list is created from which a band may be chosen, even last minute if the preceding requirements have not been met. How do I sign up for a shot for my band to play? Spooner Oldham really in your band? You sound good. The answer to your question, assuming nothing above is a non-starter for you, is to write me at willjames@gramparsonspetition.com. I don’t have any dates or cities set for 2012 yet, but honestly I probably won’t be making it down to Alabama, but I plan on Nashville again. Do you travel? I’ll start making a list of interested parties, and begin narrowing it down come around springtime. Hi I’d like to have a table if I could attend ?